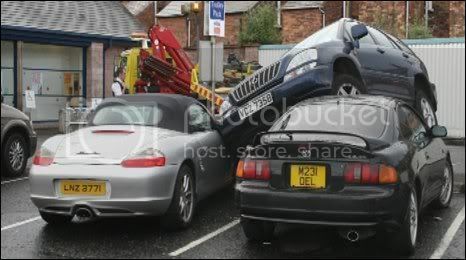 Police are investigating a crash in which a £30,000 SUV ended up parked on top of two other cars, one of them a Porsche sports car worth up to £45,000. 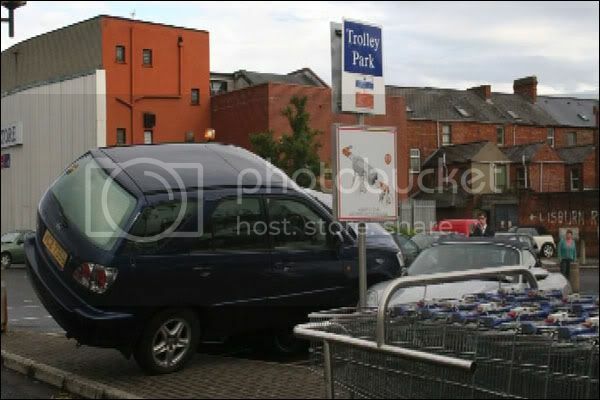 It happened at about 1700 BST in the car park of the Co-Op supermarket on Belfast’s Lisburn Road. 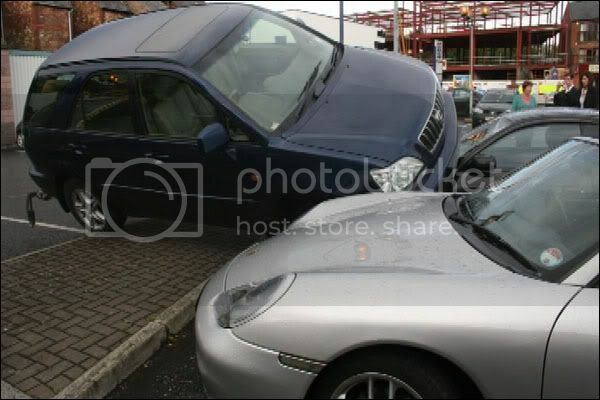 The vehicle, an automatic Lexus, drove over the Porsche and a Toyota Celica, which were parked directly in front. 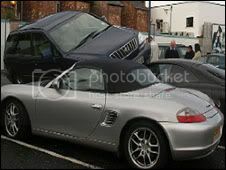 The Porsche Boxster was damaged on its wing and bonnet, while the Toyota Celica was crushed. 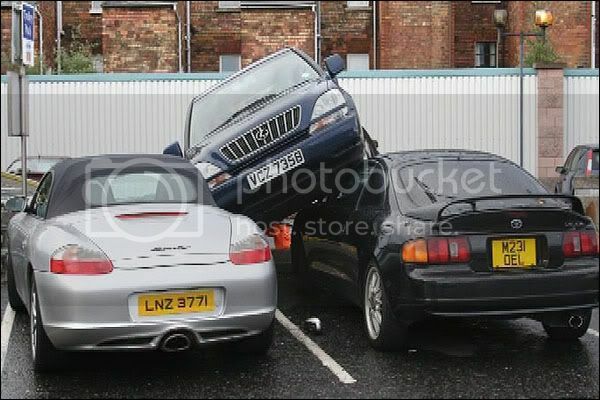 One person, believed to be the Porsche driver, was taken to hospital. 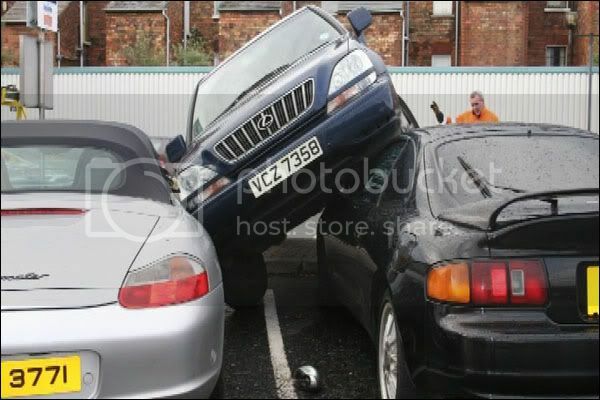 The BBC spoke to the driver of the Toyota, but he said he was “not in the mood to give interviews”. Parkour was invented in the 1930’s! Next story Where the hell is matt 2008? The Kids are good at making tunes!